Resource replication is defined as the creation of multiple instances of the same IT resource, and is typically performed when an IT resource’s availability and performance need to be enhanced. Virtualization technology is used to implement the resource replication mechanism to replicate cloud-based IT resources (Figure 1). The resource replication mechanism is commonly implemented as a hypervisor. For example, the virtualization platform’s hypervisor can access a virtual server image to create several instances, or to deploy and replicate ready-made environments and entire applications. 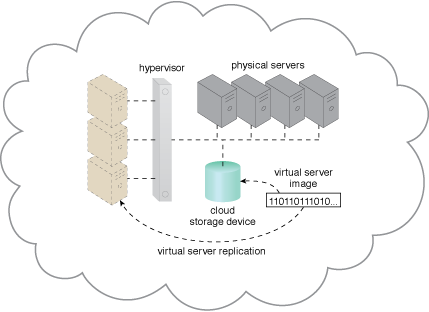 Figure 1 – The hypervisor replicates several instances of a virtual server, using a stored virtual server image. Other common types of replicated IT resources include cloud service implementations and various copies of data and cloud storage devices.